Light color and deep moisture for your lips and cheeks. A blend of organic sweet almond oil, herbal-infused olive oil, organic coconut oil, beeswax, and organic cocoa butter. The subtle color comes from organic alkanet root. 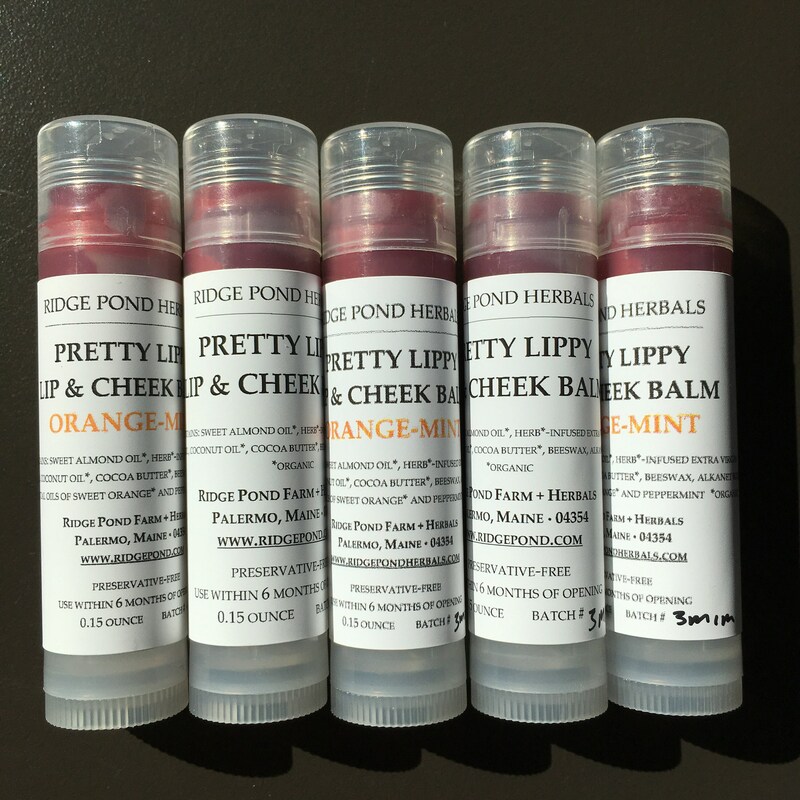 Original Pretty Lippy without added essential oils smells chocolate-y from the fragrant cocoa butter. Also available in Orange-Mint (with added sweet orange and peppermint essential oils).